Woah, I feel like June has just started, and now it's already over!? What the hell is up with that. To be fair, I was mostly lazing around the house relaxing at home after my last exam of the semester, so that probably explains why time seemed to fly by. But shh, don't berate that from me. One thing that does showcase the passing of time is how many books I've read, because wow, I'm proud - but also slightly worried - for myself, as I've managed to eat 20 books. TWENTY. BOOKS. I'm... shocked. Anyhow, enough about me, because this post is not just mine - it is also Clare's debut in a TRC recap (!!!) which is full of books (duh), with some movies, tv shows & bookish news thrown into the mix. We worked TONS on this, so I'm super-excited to see what y'all think! When the Star-Priest Brotherhood from the City threaten to ravage and destroy the land of the Wild Folk, their only hope rests with two young hares and their human companions – Tin, an orphan City boy with a passion for invention, and curious Country girl Comfrey. In this magical quest, to protect the precious stargold that runs through the land, Tin and Comfrey must complete seemingly impossible tasks set by the mysterious and terrifying Wild Folk - each stranger than the last - to find the one who holds the secret to saving their world. 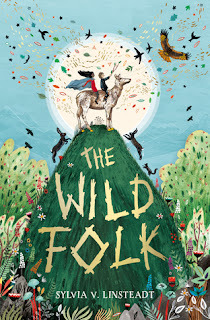 The Wild Folk is a timeless adventure, weaving fantasy and folk lore into an enchanting tale that will fill you with wonder. The first in a duology, with a dash of Ursula Le Guin, a pinch of Frances Hardinge, and a generous helping from C.S. Lewis, this is a future classic, filled with unforgettable and diverse characters, and a story to be read time and again. The original topic for this week was Series We've Given Up On/Don't Plan to Finish. This didn't work for me because I am a notorious binge-reader - so I'm dragging Vera into binge-reading with me and looking at the series we most want to marathon! 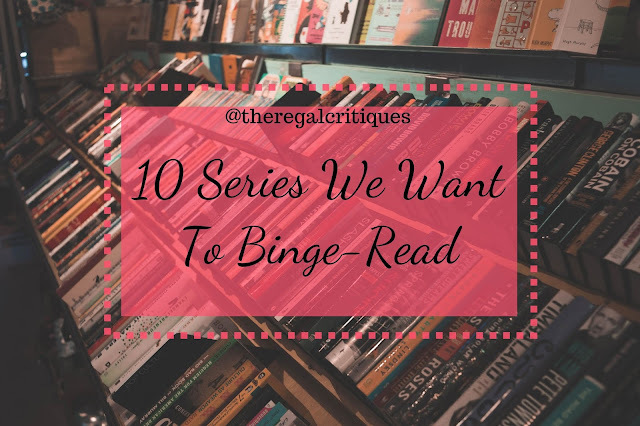 Because why suffer through cliff-hangers and long waits for the next book when you could just binge the entire series at once? Betrayal. Sacrifice. Survival. Welcome to The Extinction Trials. Exile, the sequel to Extinction Trials, follows Stormchaser and Lincoln as they're faced with newer challenges and hurdles in pursuit of their individual goals. 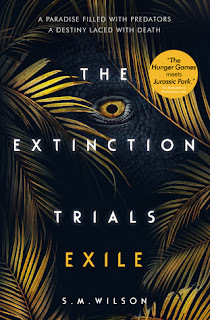 While the first book left things on uncertain terms between the characters, the second book takes off with us seeing how each character is faring with the aftermath of their stay (and subsequent victory) in Piloria, the continent of dinosaurs. Does the book do justice to what the first book lead up to? Do we see more in terms of character growth in each lead? Do we have enough dinosaurs and action in this latest installment of the Extinction Trials? Does the romance amount to anything? Isn't it fun to make a list you know you're never going to complete? Cuz I sure as hell seem to think. See, any time I make one of these seasonal (or monthly) to-read lists I fail them. Spectacularly so. These ain't working for me. 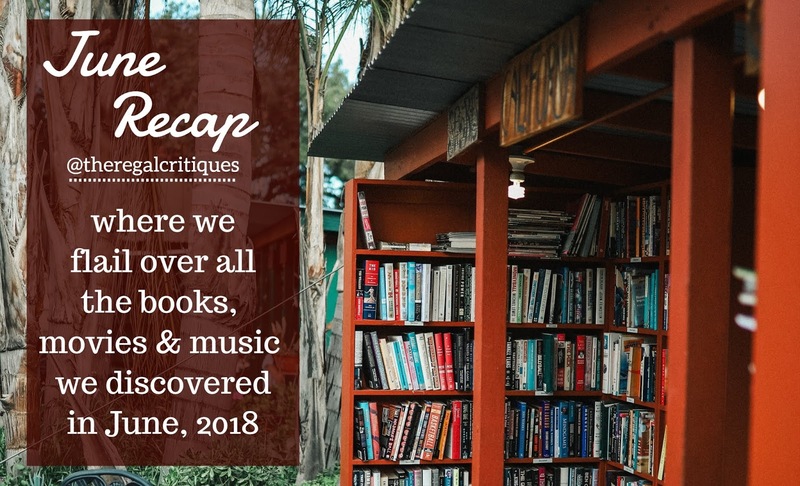 If anything, they seem to jinx my excitement for the novels I list, and more often than not, I end up not only not reading the featured titles, but also lose interest in them completely. YET, HERE I AM TRYING AGAIN. #killme But this time, I also have Clare listing her titles, which... nearly sounds like a competition to me? I'm a very competitive person so just comparing the amount she finished by the end summer with mine *might* spur me on. WE SHALL SEE. Hello friends! 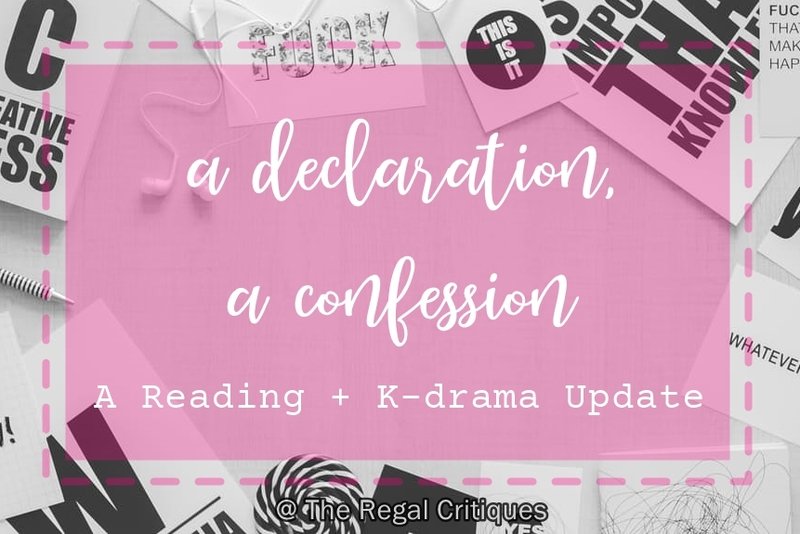 As you might have seen last week, I decided to dedicate my three June-posts to thematic recommendations. 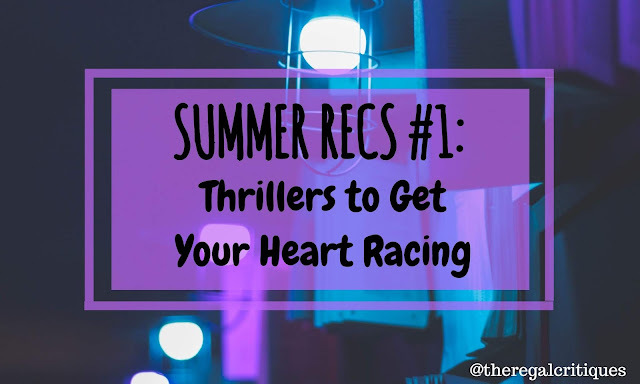 My first list concentrated on thriller, mystery and horror novels (see it here), while today's is all about ROMANCE NOVELS. To clarify, that means that the romance is, in fact, the most important part of all the books I'll list down below. 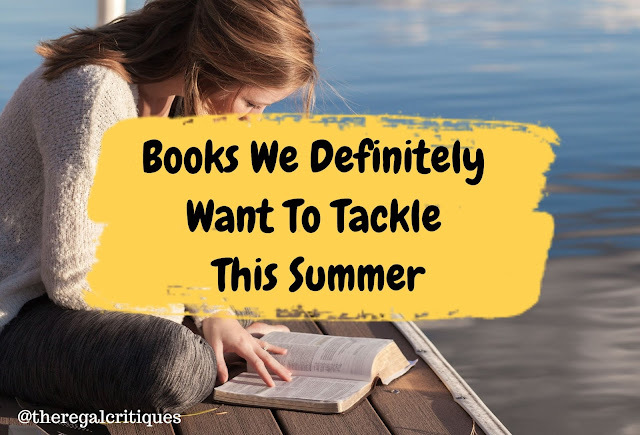 HOWEVER, in most cases there are other equally significant topics broached - from self-confidence, through following your dreams to killing the bad guys... you'll find a pretty solid selection of books here. Hello friends! Isn't it positively infuriating when you pick up a book, all excited and hopeful... only to be severely disappointed by it? It is one thing if put it down, mark it did-not-finish, and quickly get on with your life. If you frequently do this? Well, congrats, you're awesome, and I'm hella jealous, because DNF-ing is hard as hell for me. Usually, what I do is power through a book, no matter how much I'm hating it, looking for redeeming qualities and hoping it'll get better... I mean, it has to, right? RIGHT? Well, sometimes it doesn't. 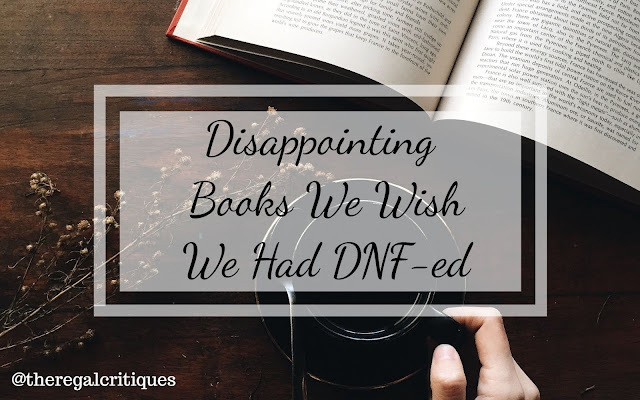 Today, Clare and I brought you 5-5 novels we badly disliked, and wish we had DNF-ed. Yes, this is last week's Top Ten Tuesday (hosted by That Artsy Reader Girl) topic, but shhh. Hello friends! Knowing that the summer is that part of the year when many readers have ample time to read - either because of being on break, or because of going on a vacation - I've decided to bring you something special this June. Drumrolls, please! 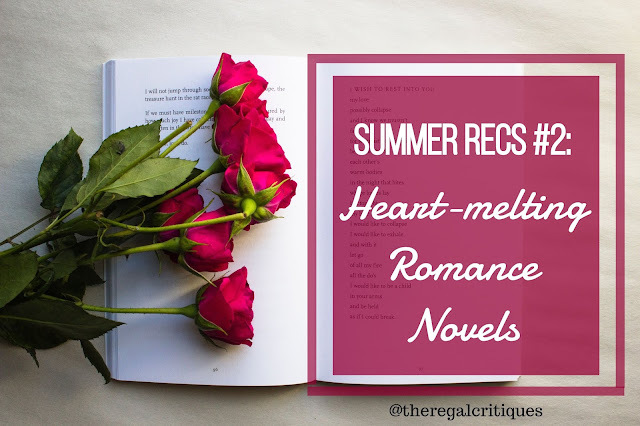 A three part series where I'll share a variety of book recommendations with you! To make navigating this list - it ain't that long, don't worry - easier & more comfortable for you, I included some bullet-points about the books. In these, you'll find the age-group these are aimed at, the sub-genres and basic information about the novels. Moreover, the book covers lead to the books' Goodreads page, so you can flood your TBR list pretty fast. I really hope you'll enjoy this little snippet into the land of my favorite novels! I hereby declare I'm out of my reading slump. I've been in various slumps on and off for the past year and reading has been the most worrying of it all, so colour me extremely excited to find myself capable of picking up a book and staying invested in it for two hour straight. However, in a worrying turn of events, I've come to realize that slump or not, I'm unable to actually read unless I know for a fact that I can read at leisure, that I'm in the right head-space for reading, that I'm not flooded with things to be done immediately, and therefore, I don't actually pick up a book unless I see myself spending at least 30 mins on it at a stretch. Uni has been tiring, to say the least, and the coming months only prove to be more hectic with deadlines looming up and it's Ramadan which means I have less time for myself AND I'm constantly tired. Stress + Me is definitely not the recipe for reading. Add physical books and ARCs to the equation and reading is pretty much out of the question because I don't read physical books at night (and I'm not into e-books at the moment), and review copies mean I need to be doubly conscious about how I feel about anything related to the book, so yeah. ISSA DILEMMA. I still am very much capable of feeling excited about books, hoarding them, picking them up and fondly stroking them but I really am not reading as much as I should.